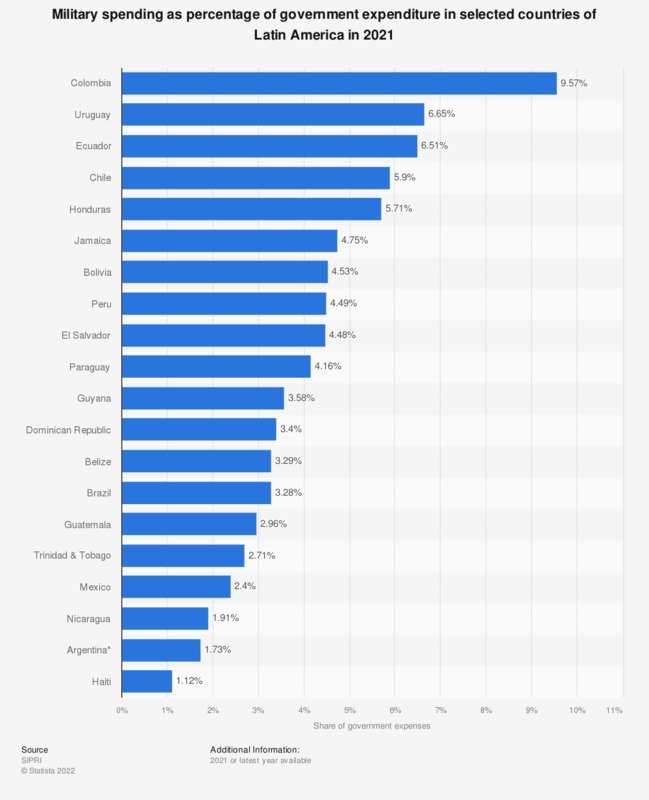 The statistic shows the military spending as percentage of total governmental expenditure in selected countries of Latin America in 2017. That year, the military expenditure of Colombia accounted for approximately 11 percent of the government's expenses. ** The source informs that data for the indicated countries remains uncertain due to unreliable inflation figures.